Do you want to have the PERFECT FAMILY VACATION this summer?!! – Here’s How!!! Summertime is Vacation Planning Time!! Yay!!! Vacations are fun and exciting – a time to forget your cares and relax and have fun, a time for families to bond and grow closer together! Of course choosing your destination is one of the most exciting parts! There are so many fun places to visit, will you go to an old favorite destination or discover somewhere completely new?? My family’s old favorite destination is the Oregon Coast and we have a whole list of fun activities we like to do there. Someplace new I’d like to visit is Yellowstone National Park (well kind of new), I visited there as a child but I’d like to go back as an adult and take my family. But once you decide where you’ll go then you have to get down to the nitty-gritty and plan all the details. A well planned vacation makes all the difference. There are so many details to remember and attend to. Honestly, the planning part is not my favorite, so many things to plan and figure out. By the time the last day or so before vacation arrives, I still have so much to do and I wonder why on earth I ever thought a vacation would be a good idea in the first place! It’s so much work, so stressful and no fun at all! Last year my family all decided we were going on a vacation, my daughters and their families, together with my husband, became co conspirators and made the decision together without much input at all from me. Then, with their work done, they sat back with contentment and anticipation, and waited for me to make it happen! (Ok, maybe it is more like I take the planning upon myself, rather than that they put it all on me). In my defense, and if truth be told, (winky face) I am the best planner and organizer of the bunch! However, as always, the task of figuring out the logistics and finances for a family vacation was a daunting task! Then I got a brilliant idea! I would take my organizing to the next level and make a comprehensive Travel Planner and that is when my first ebook was born! I used the planner to map out every detail of our vacation and it truly was one of the very most perfect vacations we have ever taken! Here’s a photo collage from our trip! 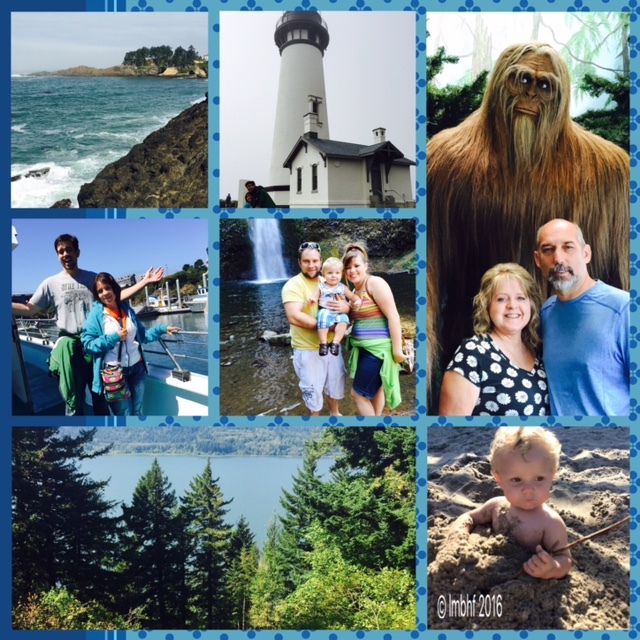 Collage of Oregon Coast Vacation! You can have a great vacation like this too! The planner includes 35 pages of calendars, forms, checklists, an itinerary, and more to help you plan the perfect vacation! 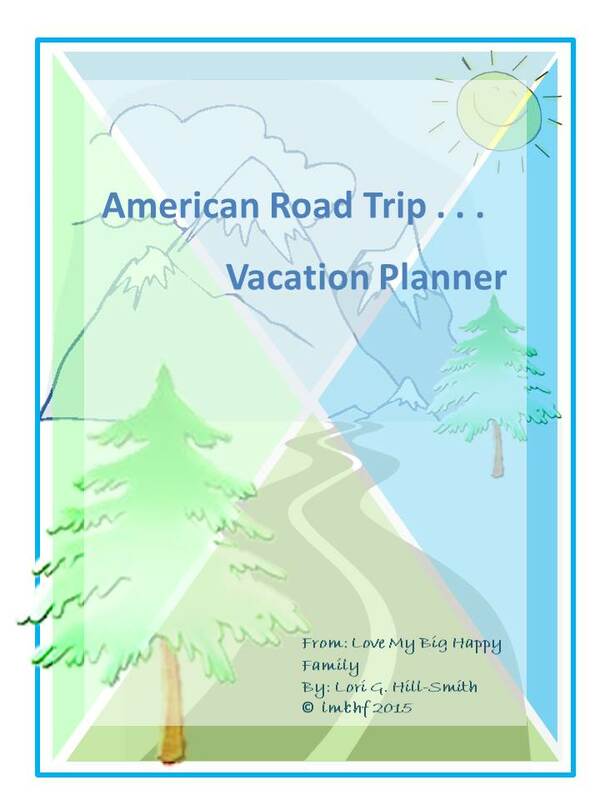 “American Road Trip … Vacation Planner!” takes you step by stem through every aspect of planning the perfect vacation and it’s only $3.99. You can get a sneak peek inside the planner below! 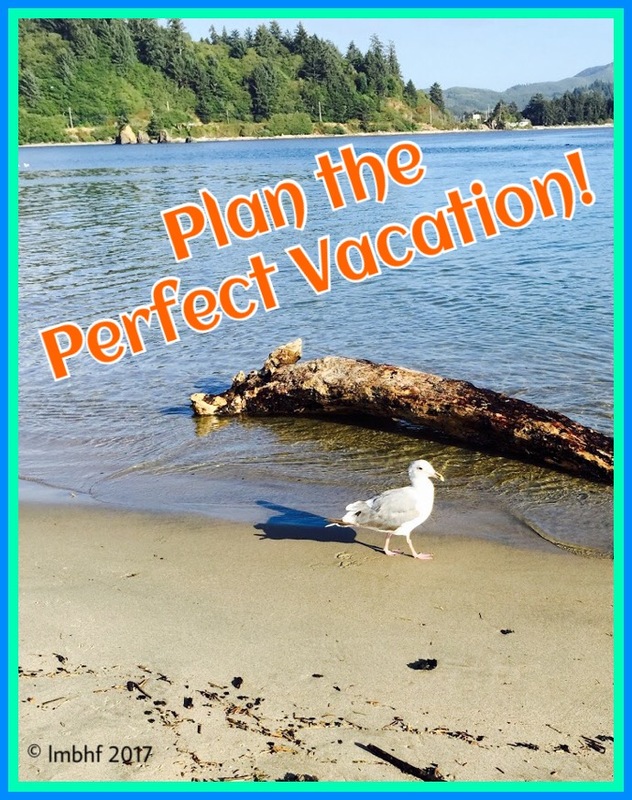 CLICK HERE to get your Vacation Planner today from the Love My Big Happy Family Store! 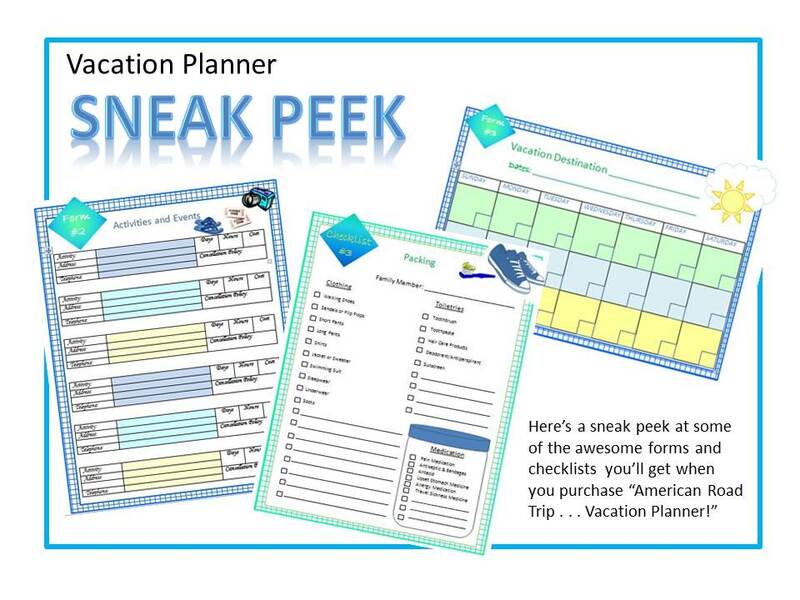 I can’t wait for you to give the Vacation Planner a try! Please come back and leave a comment after your vacation and tell me how it went. Happy Planning and I hope you Have a Perfect Vacation! Oh, I hate planning vacations. I’m suppose to be planning a vacation right now for s trip we want to take in September and I can’t even begin to start! My son does this and is amazing at planning. He gets some great deals by booking and buying tickets for everything ahead of time. Will have to show him this, right up his alley. Great ideas! I love planning vacations! Thanks Sylvia, I love it too now that I have my handy dandy planner! Thanks Helen, I’m pretty proud of it! It looks as if you had a wonderful trip. No road trips in our immediate future, but I would definitely consider trying this planner. I’ve shared on social media. Thank you Christie! It sure came in handy on our last road trip.